Home workshop "Locus-Excellence in Research 2018”, an inaugural Session and Workshop held for the PhD/ M.Phil batch of 2018-19 at Jagran Lakecity University. 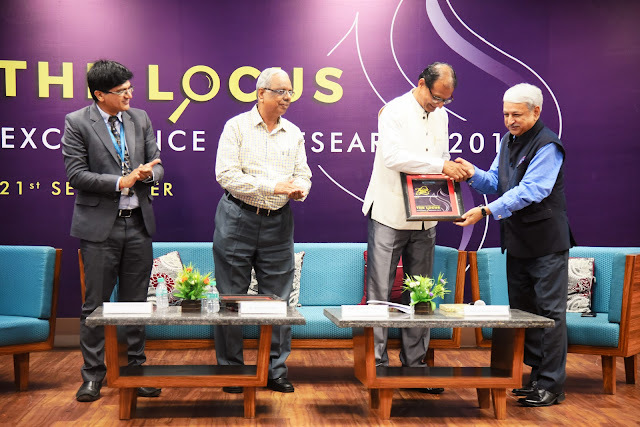 "Locus-Excellence in Research 2018”, an inaugural Session and Workshop held for the PhD/ M.Phil batch of 2018-19 at Jagran Lakecity University. Research is a meticulous and comprehensive study into a distinct query, concern, or issue using the scientific method. It's the grown-up form of the science exhibition projects back in elementary school, where you try and learn something by performing an experiment. This is best performed by turning the issue into a question, with the intent of the research to answer the question. 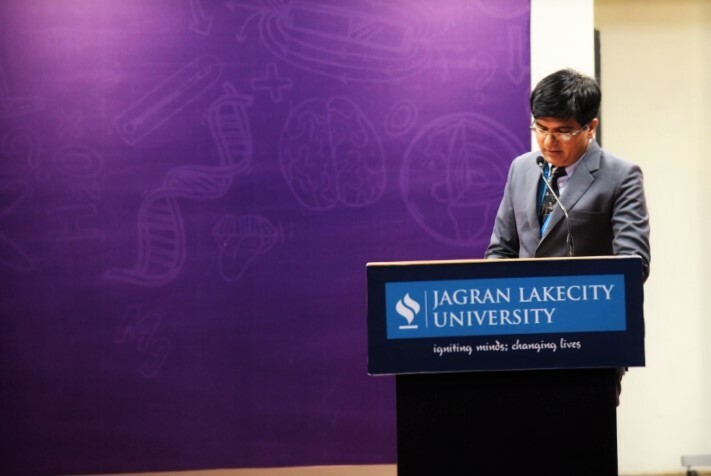 Orbiting around such vision, “Locus-Excellence in Research 2018”, an inaugural Session and Workshop for the PhD/ M.Phil batch of 2018-19 was warmly welcomed at Jagran Lakecity University on 21st September 2018. It was homage for the University to have Dr Naveen Chandra, Director General, Madhya Pradesh Council of Science and Technology as Chief Guest along with the Keynote Speaker, Prof. (Dr). Pawan Kumar Singh, a Senior Professor at IIM, Indore. Honourable Vice Chancellor Prof. Dr Anoop Swarup, Deans, Directors and faculties of various schools also graced the occasion. The event commenced with Prof. (Dr.) Vinay Joshi networking with the research scholars and bestowing his viewpoint on the quality of coursework classes in his Welcome Address, further enlightening the audience on the success stories of research cell and their accomplishments. Further taking the dais, Prof. (Dr.) Anoop Swarup, Hon’ble Vice-Chancellor, JLU felicitated JLU Research Cell for sustaining the high standards of research in his Inaugural Speech. 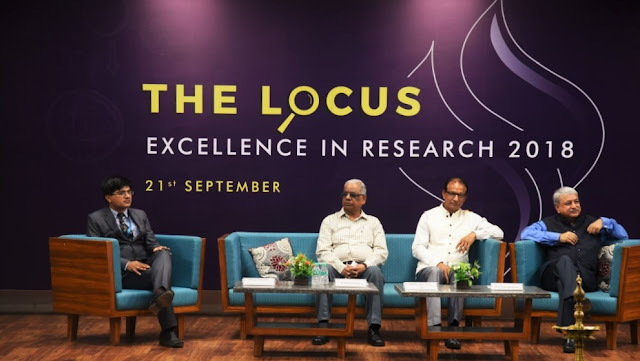 Dr Naveen Chandra, Director General, Madhya Pradesh Council of Science and Technology in his interplay with the research scholars delivered an acumen of the numerous aspects of Research Methodology. Being an eminent Scientist he talked about the importance of innovation in research and the value of Patents. Furthermore, the Keynote Speaker for the session Prof. (Dr.) Pawan Kumar Singh illustrated the purpose of research in a philosophical way. Being a silver-tongued orator he revealed various quotes regarding good research tactics. He likewise yielded that in this era of information good quality research shall automatically open the new horizon for a research student. The insightful event then culminated with Dr Rahul Pandey, Assistant Professor, and Coordinator Research Cell voicing the Vote of Thanks.